Julian EU — KOCH & CO.
A classic, and for good reason. 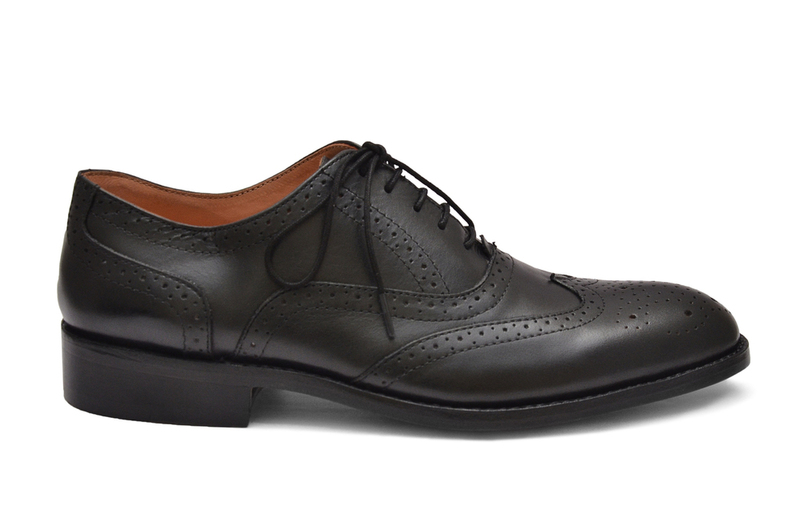 Julian is a timeless oxford shoe built on a slender last. 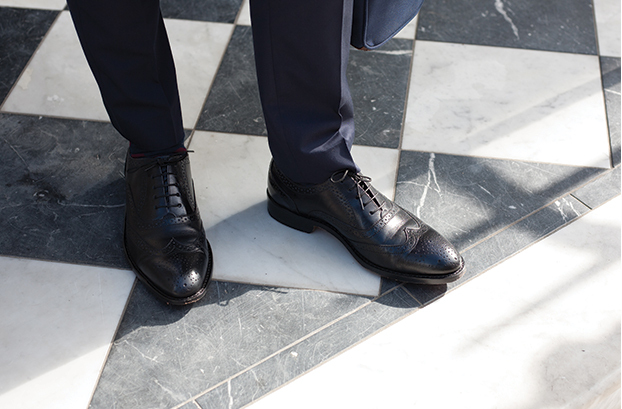 The intricate brogue detailing is punched by hand and adds a sophisticated form to the shoe. Being both casual and formal in attire, it will take you from the boardroom to brunch in style. The majority of our shoes ship within 2 days of your order. However, on the rare occasion, it may occur that your particular shoe size isn't in stock. In this case, we will contact you promptly and you can either receive a full refund, or opt to have you shoes freshly made and shipped with 4-6 weeks. Our shoe uppers are made using 100% full grain leather sourced from the finest tanneries around the world. Full grain leather maintains the texture from the original cowhide, ensuring the highest quality finish and feel on each shoe. It is also the most durable and flexible form of leather. This means that the leather stretches over time to take the shape of your foot, making the shoe fit better with each use. The leather develops a patina over time and ages beautifully. A good lining is essential for the overall comfort of a shoe. Our mellow tempered cowhide lining ensure a smooth and soft feel, and maintains comfort for the foot even after wearing it for several hours.